"Getting Healthier, Keeping My Brain Functioning, Being Compassionate toward others"
About Me A creative, large ("traditionally built"), disabled woman who is a wife, mother, and futilely longs to be a grandmother . I am caring to a fault and am a retired psychotherapist, pastoral counselor, and professional. 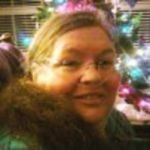 I am a writer, an artist, and passionate about educating others on Alzheimers Disease (among other things). What/who changed my life and why Attending Oprah's LifeClass OWN, which included live webcasts that were interactive with people all over the globe. My son Noah, who died, changed my life forever.